$315/person includes six meals, overnight accommodations, and all curriculum. Registration is now full! To be added to the wait list please email services@arcofappalachia.org. Introduction. This course is an immersion in the rich world of butterflies, both their identification and natural history. The butterflies native to southern Ohio are representative of most species native to the mid-latitudes of Eastern North America. Each species you learn will open a doorway to a greater understanding of it’s ecology and natural history while strengthening your memory and observation skills. This is not a “sit at a table and examine pinned specimen,” academic class. We will be out in the field for the entire course – observing these beautiful creatures on wing and nectaring on flowers. At first it may feel that every sighting results in blurry uncertainty but with gentle instruction and much repetition you will slowly master the recognition of these colorful and uplifting neighbors that inhabit our fields and forests. We have chosen June for this event because it’s the only time in the year that several of the single-brooded butterflies can be seen. If we are lucky, we will even pick up a few rare migrants coming out of the south such as Gulf Fritillaries and Dainty Sulphurs. 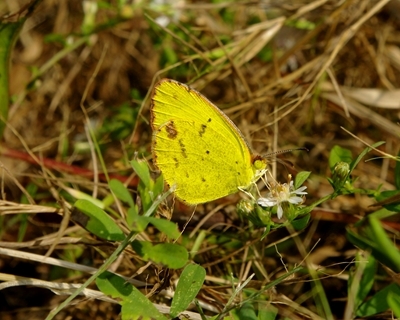 The landscape of Adams County is regionally renowned for its high number of rare plants and butterflies, such as Edward’s Hairstreaks and Northern Metalmarks, two species that we will likely see. 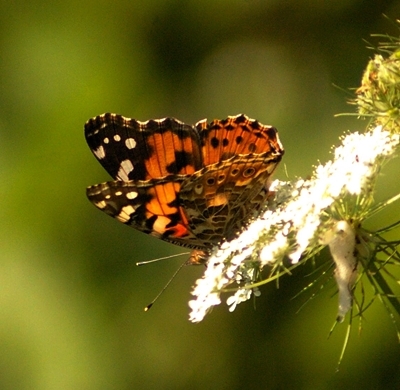 Kamama Prairie Preserve, one of our course destinations, lays claim to an astonishing 65 species of butterflies. 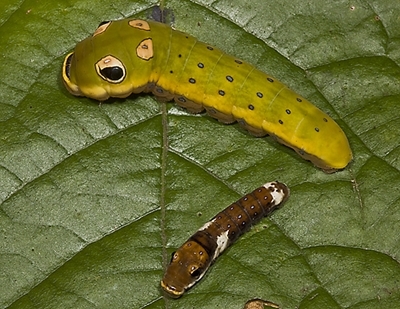 Butterfly identification will be anchored with an improved understanding of the life histories of our colorful friends, their journeys from egg to caterpillar, instar through metamorphosis, and pupation to adulthood. On Saturday, under leader John Howard’s mentorship, we will practice and strengthen our new found recognition skills by actively participating on an official North American Butterfly Association (NABA) butterfly count, contributing important data to the monitoring of butterfly numbers and health. Optionally, on Sunday, you can choose to extend your stay, and continue your field work on your own by participating in a second butterfly count in nearby Shawnee State Park and Forest. Our accommodations for the weekend will be the recently opened Ohio Star Retreat Center near West Union, founded by course leader John Howard and his wife, Tina. These clean, simple-yet-comfortable rooms offer a relaxed, intimate community setting. With limited space we will only be offering shared rooms for this course. This course will be a “folk school experience, meaning that participants will be invited to assist with light food preparation and meal clean-up after eating. 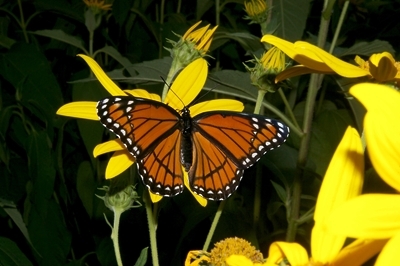 Learn field recognition of the locally common species of butterflies. 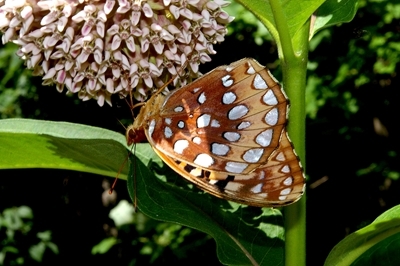 Learn butterfly natural history, seasonal cycles, over-wintering strategies, nectaring plants, and habitat preferences. 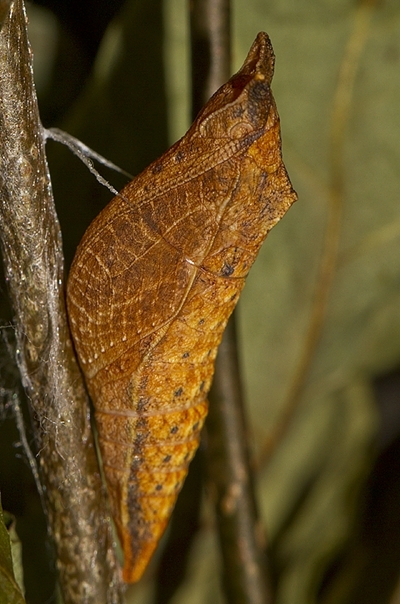 Study the metamorphosis of butterflies from egg to adult. Learn which species of butterflies migrate and which do not; and seasons of appearance specific to each species. Butterfly conservation and species of concern. Learn how to distinguish 7-8 species of the tiny but beautiful Hairstreak species and the related “Blues;” learn about their unusual collaborations and interdependencies with ants. Learn how to distinguish between the confusing Skippers – both open-wing and closed-wing species. We may see as many as 9 species: Zabulon, Peck’s, Tawny Edge, Pepper & Salt, Little Glassy Wing, Northern Broken Dash Crossline, Swarthy, and Silver Spotted. Learn the Angle Wings: the Questionmarks and Commas. Learn the members of the Brush-footed Butterflies, the largest family of butterflies that contains the Fritillaries, Checkerspots, Hackberry, Buckeyes, and Satyrs, just to name a few.